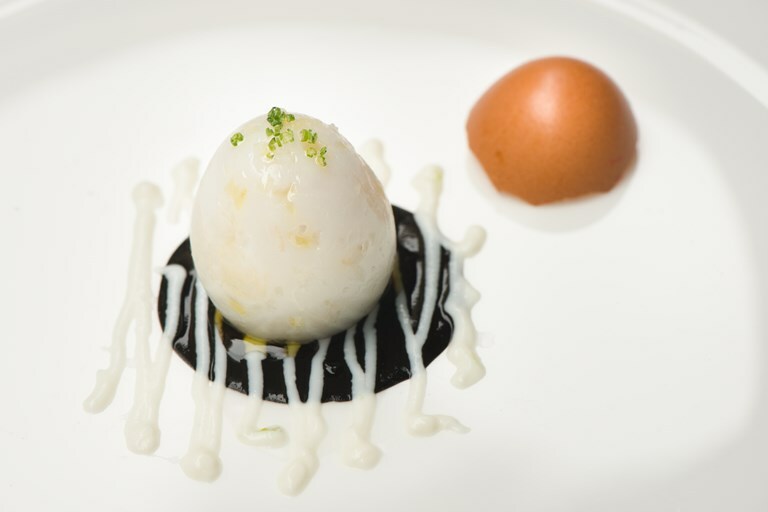 These playful 'eggs' are sure to surprise guests, as they are actually made of pearly-white cuttlefish and a rich, meaty filling. Served with an intense cuttlefish ink sauce and a drizzle of creamy ricotta, this recipe from Pino Cuttaia is guaranteed to impress. Have a look at our how to cook cuttlefish guide for tips on preparing them, or ask your fishmonger to help.